Looking for a live music night to see in Bath this November? Or looking for something different and interesting to see on a night out? 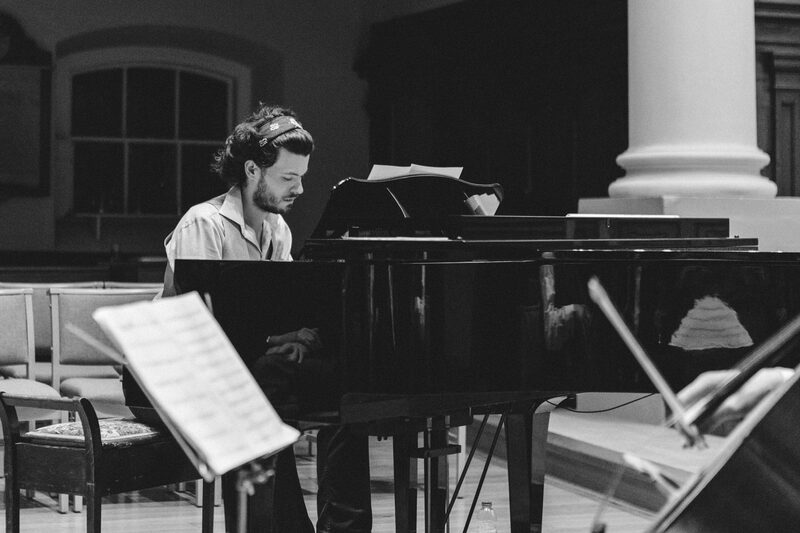 Bath is a city rich in culture and heritage, with a long tradition of live music performance. 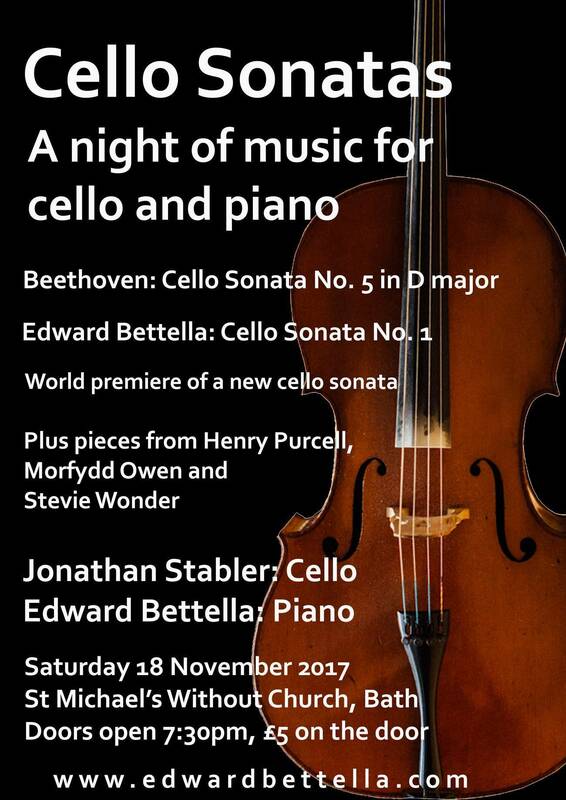 This November local composer pianist Edward Bettella will be premiering his new piece Cello Sonata No.1 in concert on Saturday 18 November 2017 at St Michael’s Without Church in Bath. Edward will be performing with his regular duet partner, cellist Jonathan Stabler. The evening will be a celebration of music arranged for the intimate setting of cello and piano, featuring an eclectic program, starting with Beethoven’s Cello Sonata No. 5 in D major, followed by a variety of short pieces by composers from Henry Purcell, Morfydd Owen and Stevie Wonder. Introductions will be provided for all the pieces, so you don’t need to come armed with an extensive knowledge of music history! Just come to relax and enjoy some wonderful pieces, old and new, capped by a performance of an entirely new work. A bar will be open for all your beverage requirements. Tickets are £5 on the door; if you have any further enquiries, please get in touch via the contact form.